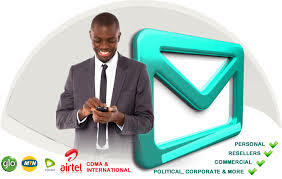 OneNairaSMS is the Cheapest Bulk SMS in Nigeria per unit of SMS. Our Bulk SMS Gateway is the fastest, affordable and reliable Bulk SMS Portal in Nigeria. We support over 500 networks in over 70 countries worldwide and provide customised Bulk SMS to multiple phone numbers at the click of a button. OneNairaSMS makes it so easy and even affordable for you to send Bulk SMS even without logging into our website as we provide seamless links for you to achieve your intentions with our desktop app, mobile app and ever compatible interface on mobile and desktop too. We do not compromise QUALITY with QUANTITY as we deliver at simply 1 UNIT PER SMS!!! Bulk SMS in Nigeria | Bulk SMS Nigeria | SMS in Nigeria | Top 10 Bulk SMS Websites in Nigeria.